Oracle E-Business Suite Training | Oracle R12 Financials | Enroll Now.. Course Duration 5 days or 40 Hours Approx. Oracle Order to Cash Lifecycle covers the entire order process flow which includes Order Management to Cash Receipt. It gives an overview of the processes involved in taking an order from its inception to its fulfillment and cash receipt. This Course covers all the main areas of Oracle Order-To-Cash flow which include Inventory Management, Order Management, Pricing, Shipping, and Interfaces with Receivables. Intended Audience for this course This course is designed for those who have some Order process background, Business Analysts, IT management and Staff, End Users, Functional Implementers, Project Managers, Students with any Major and also those who want to become Oracle functional consultants. 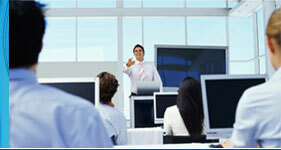 Oracle Functional Courses require no prior Oracle training or experience.